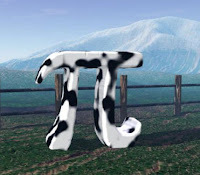 I'm just assuming here, but Steak & BJ day... very likely not celebrated by the same people who celebrate Pi day. Although, maybe if those guys would not admit they celebrate Pi day, they could spend some time celebrating... with a steak. Happy day, no matter which you celebrate. Me... I'm totally having steak for dinner. too bad for Mr. Kaos... he isn't eating steak thses days. So it's either the geeks or slobbin the knob and eatin steak? Gee that's a tough one. And I was hoping for hot dogs. Steak it is!!! Hubby will have to earn the BJ though.